It is arguably the greatest scientific crime ever committed in Britain. In December 1912, Charles Dawson, an amateur antiquarian and solicitor archaeologist, presented part of a human-like skull to the world which he claimed was the “missing link” between ape and human. While the discovery made waves at the time, new dating technologies in the 1950s revealed that these bones were nowhere near old enough to make up such a link and that the fossils had therefore been a hoax. So who did it? Suspects have ranged from French priest and paleontologist Teilhard de Chardin to writer Sir Arthur Conan Doyle, but many archaeologists naturally suspect Dawson. But the evidence has so far been lacking. And if it were indeed him, how can we be sure he didn’t have any accomplices? Now, a century after his death, new evidence obtained by my colleagues and I points the finger of suspicion even more firmly at Dawson, and suggests a sole hoaxer was responsible. 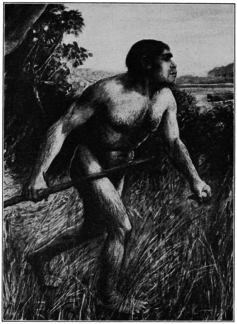 Reconstruction of Eoanthropus dawsoni from 1913. wikimedia Dawson announced the discovery of the new fossil hominin – Eoanthropus dawsoni – together with palaeontologist Arthur Smith Woodward. It was Dawson who first contacted Woodward, then keeper of palaeontology at the Museum of Natural History in London, about having found a new human fossil. He wrote that the fossil would “rival” the German fossil jaw belonging Homo heidelbergensis, the first early human species to live in colder climates. Scientists had become increasingly interested in finding the missing link between humans and apes ever since the publication of Charles Darwin’s “Descent of Man” in 1871. The discovery of Piltdown Man put Great Britain at the forefront of palaeoanthropology by demonstrating that early humans had big brains and apelike jaws. The publication generated great interest from scientists and the general public alike. The material consisted of an ape-like jawbone containing two worn molar teeth and parts of a human-like braincase. These were fraudulently planted in a gravel deposit near the village of Piltdown, in Sussex, UK. Associated with these were primitive stone tools and fragmentary fossil mammals, all stained dark reddish-brown like the gravels, suggesting an early Pleistocene or Pliocene date (2.6m years or even older). After Dawson’s death, a second collection of skull fragments and a molar tooth which Dawson had told Smith Woodward originated from a second site – referred to as Piltdown II – were presented to the museum. Very few scientists of the time were allowed to study the “original” fossils and were given plaster cast copies instead. But over the next 40 years Eoanthropus became increasingly marginalized as ancient hominin fossils such as “Peking Man” were discovered in China, Indonesia and Africa, none of which showed the peculiar combination of an ape-like jaw and human-like braincase found in Piltdown man. In 1953, scientists decided to apply new chemical tests to ascertain the age of the Piltdown Man fossils. They discovered they were likely only a few hundred rather than thousands of years old. 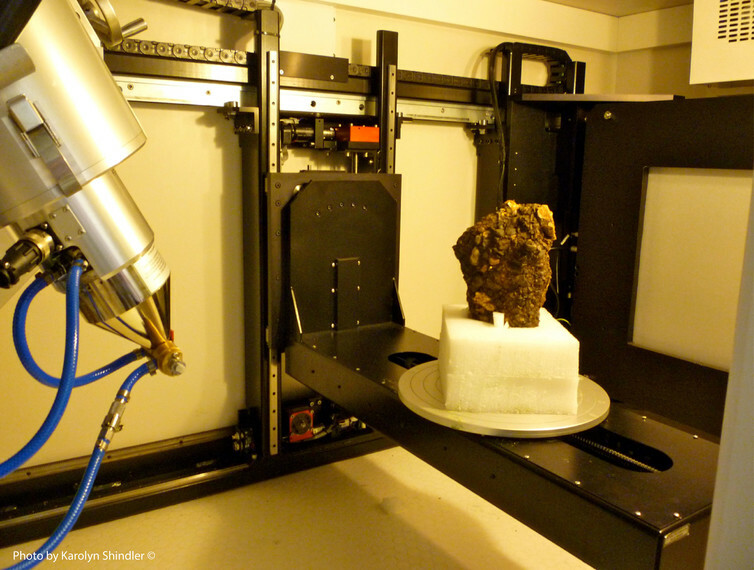 Our analyses, published in Royal Society Open Science, were inspired by new and emerging technologies in the field of palaeoanthropology: ancient DNA analyses, CT scanning and X-ray tomography. Solving the Piltdown crime is still important now as it stands as a cautionary tale to scientists not to be blinded by preconceived ideas but to remain objective and to subject even their own findings to scientific scrutiny. Using DNA analysis we could show that the orangutan material used to forge the Piltdown I jaw and teeth as well as the Piltdown II molar tooth very likely originated from a single orangutan specimen related most closely to the orangutans now occupying Borneo. We also know that two or perhaps three possibly medieval humans were used to make up the cranial “fossils”. But as we were unable to extract DNA from the bones we do not know where these were acquired. We also discovered that the whole collection of bones were subject to the same treatment as the orangutan material. Using CT scans to investigate the inside of the bones we noticed that several of the bones and teeth were loaded with gravel that was held in place with pebble plugs. Adding gravel would not only have made the bones heavier and feel more like fossils but they would also appear to have been lying in the gravels for a while. This gravel originated from sediment similar to that found at the Piltdown site. A silicate dental putty was used in both assemblages to restore the human vault bones; to hold the gravel plugs in place in the ear hole in the skull; to restore the first teeth in the orangutan jawbone and to position the teeth back into place in their jaw after grinding them down to look more like used human teeth. The consistency in techniques and the use of a limited number of specimens to create both the Piltdown I and Piltdown II material seems to suggest a single forger was responsible. Dawson remains the main suspect in the case of Piltdown Man. He is the only person who was present at every discovery and the only one to have seen the Piltdown II site. The question remains: what would have driven an apparently successful country solicitor, with a reputation as a geologist, archaeologist and local historian, and with an impressive collection of fossils held in the British Museum, to turn into a serial forger? Our own library and archival research has shown that Dawson was responsible for at least 38 forgeries (for example, the Roman inscribed tiles from Pevensey and a statuette excavated by Dawson during the late 1800s were found to be fakes too) . It has been suggested that his motive was scientific recognition and, in particular, his ambition to be elected a fellow of the Royal Society. Dawson wrote more than 50 publications but none up until Piltdown appears to have greatly furthered his career. He and his wife wrote letters asking for his recognition but even though he was nominated as a fellow, his nomination for election was not successful. Dawson died on August 10 1916 – 100 years ago today. Had he lived a bit longer, he may yet have achieved his ambition. By Isabelle De Groote, Senior Lecturer in Biological Anthropology, Liverpool John Moores University. This article was originally published on The Conversation. Read the original article.